The Archdiocese has delayed demolition of St. James Church. That calls to mind a historic church that wasn&apos;t saved: the old Old St. Mary’s. St. Mary of the Assumption was the city’s first Catholic church, built in 1833 on Lake Street west of State Street. Three years later the building was moved to Michigan Avenue and Madison Street. In 1843, when Chicago was established as a diocese, a new St. Mary’s Cathedral was constructed at the southwest corner of Madison Street and Wabash Avenue. The Great Fire of 1871 destroyed St. Mary’s Cathedral. Afterward the Catholic bishop decided to rebuild his cathedral in Holy Name parish. He also purchased the five-year-old Plymouth Congregational Church at 9th and Wabash, rededicating it as St. Mary’s Catholic Church. The parish was placed under the direction of the Paulist Fathers order of priests. The decades passed, and the South Loop went into a long decline. Anyone with money moved out. By the 1930s the area was mostly commercial—and what wasn’t commercial was slum. Aging gracefully while the neighborhood deteriorated, the church remained one rock of stability. People began calling it Old St. Mary’s. As early as 1904 the Paulists organized a male choir. 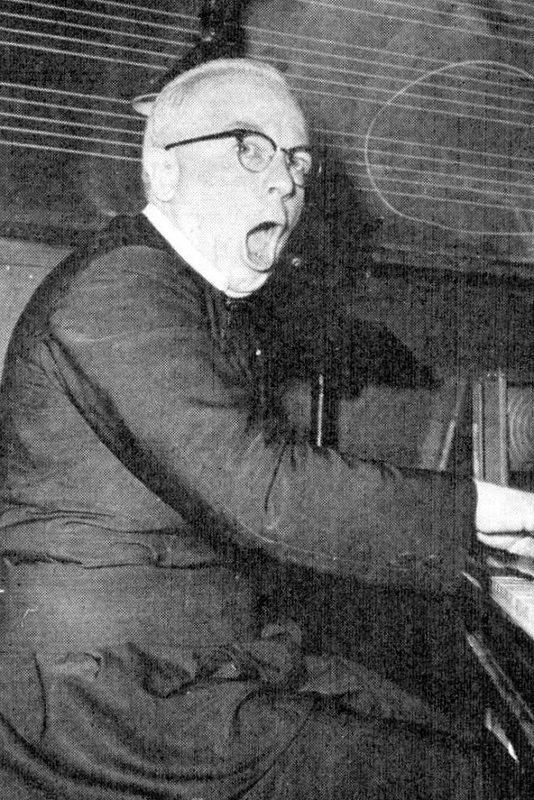 However, the Paulist Choristers really came into their own after Father Eugene O’Malley took over in 1928. At its peak the choir had 65 singers and was internationally famous. When Bing Crosby played a “singing priest” in the movie Going My Way, his character was named—not coincidentally—Father O’Malley. The church was distinctive in other ways. "Old St. Mary’s runs along without the Holy Name society, the Altar & Rosary society, and the young people’s sodalities that help the pastor in most parishes," a 1955 article reported. "It has no parishioners except a few permanent residents of the big Michigan Avenue hotels. Yet Old St. Mary’s is filled every Sunday." The church was filled even at 3 a.m, for its night-owl Mass. In those days Catholics were expected to attend weekly Mass on Sunday itself, and not on "anticipated" Saturday evening. I made it to a number of those services in my college days, and always ran into someone I knew. 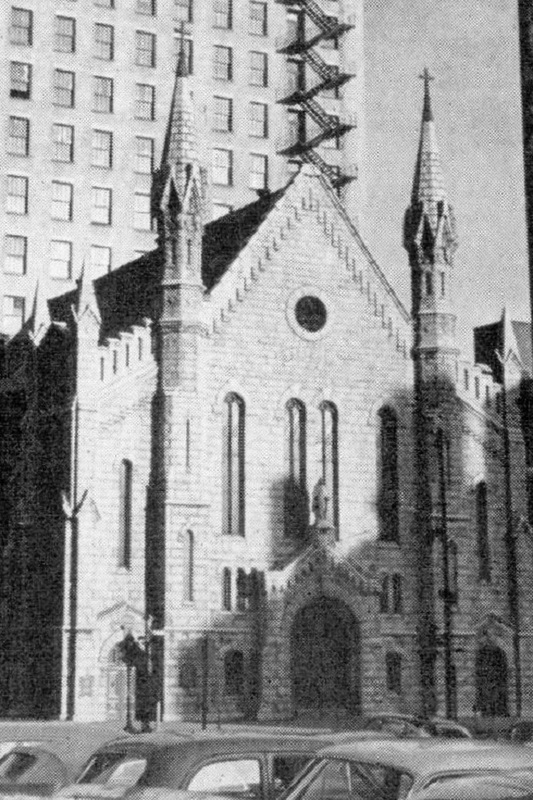 The old Old St. Mary’s was torn down in 1971. The official explanation was that the building had become too expensive to repair. The gossip was that Standard Oil wanted the land for its new headquarters, and Cardinal Cody sold the property for a nice price. Standard Oil eventually built on another site. From 1971 until 2002 the parish operated out of a church at Wabash and Van Buren. The newest Old St. Mary’s is located at 1500 South Michigan Ave.